Pets tend to follow their humans wherever they go, so why not even into their virtual worlds? Social networks shouldn't be limited to just people, there's no reason why your pet should be left out of the mix. 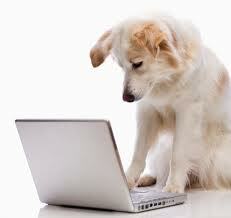 Online networks targeting pet lovers are common, but they don't cater to the pets themselves... until now! Meet Pezoogle, the first social network for pets from the pets perspective! At Pezoogle pets write messages to one another about shared interests and offer advice on health problems, training or local pet-friendly parks and even allow you to find a new friend for your human to adopt or sponsor. Some members may even enlist their humans to arrange offline play dates. Animals are natural social-networking creatures. 2. The social life of an animal. 1. One who interacts with other animals online. 2. A pet and a human in a mutual online experience. Visit Penny and see what Pezoogle is all about. Visit Penny's page and get to know her. You'll get a chance to see what Pezoogle is all about; view photos, meet friends join groups and expand your pet community with Pezoogle today. Get started by registering for a free Pezoogle.com account, where you will select your Pet's display name for your Pezoogle participation. To register click on the signup link below and follow the 3 Easy Steps. Be sure to check your email for activation instructions and friendly reminders from Pezoogle. @Penny - I like Pezoogle.com because I don't get to see @Princess and @Peaches everyday but I can still stay in touch and MyHuman likes to see what they are up to. @Spunky - I love Pezoogle.com, I get to keep up with my friends. Share photos and what's happening.